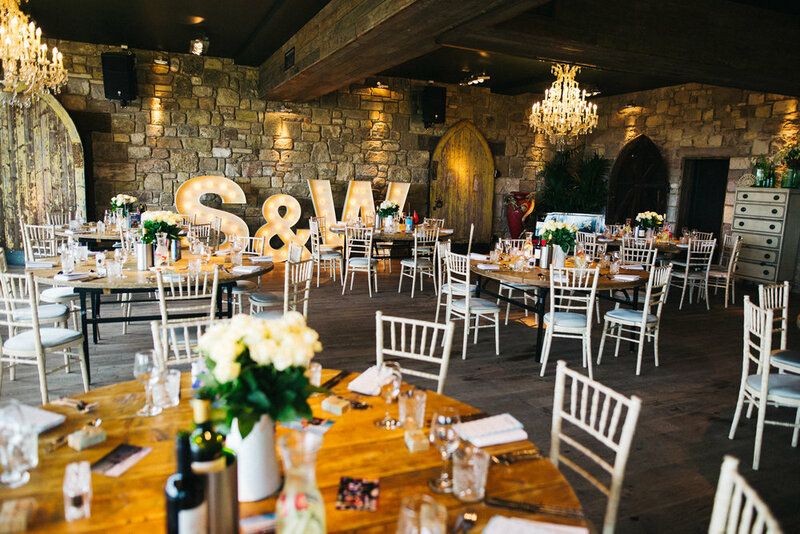 One of my favourite wedding venues without a doubt has got to be Newton Hall up the coast in Northumberland. 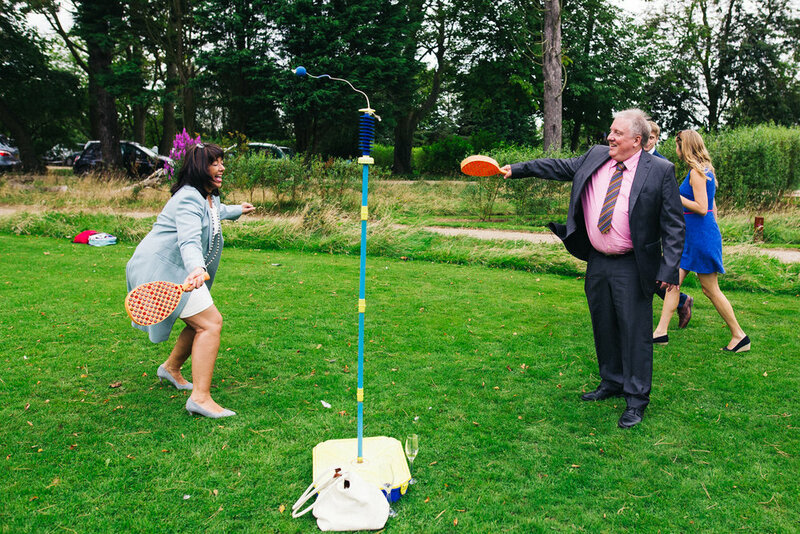 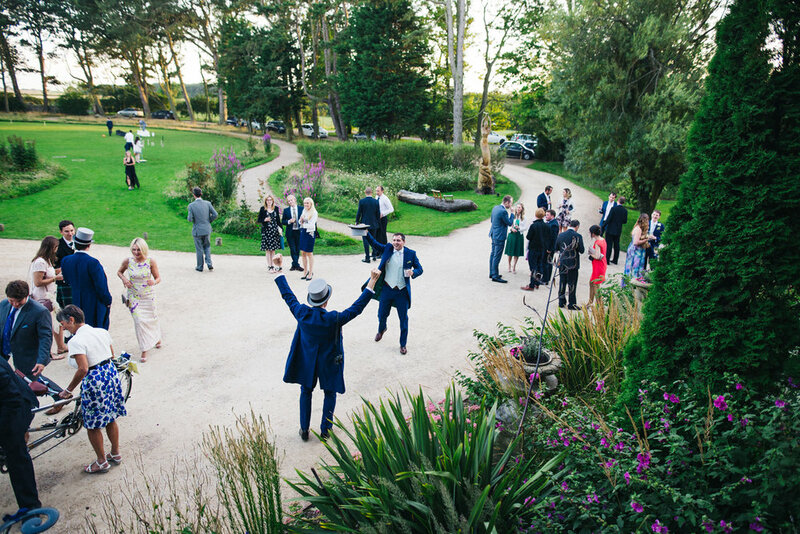 Sophie and Will’s wedding there last September was an absolute blast. 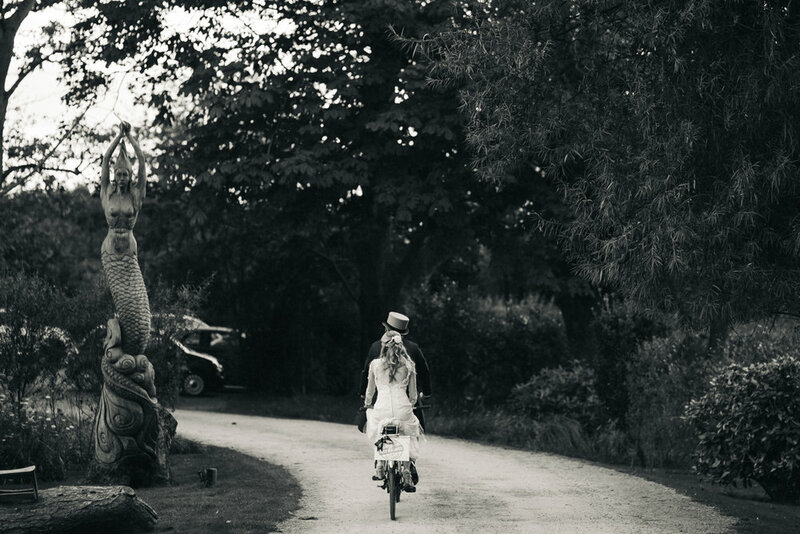 A cycling and travel theme, tandem cycling in the grounds, photos on the beach, and a real knees-up on the evening.. 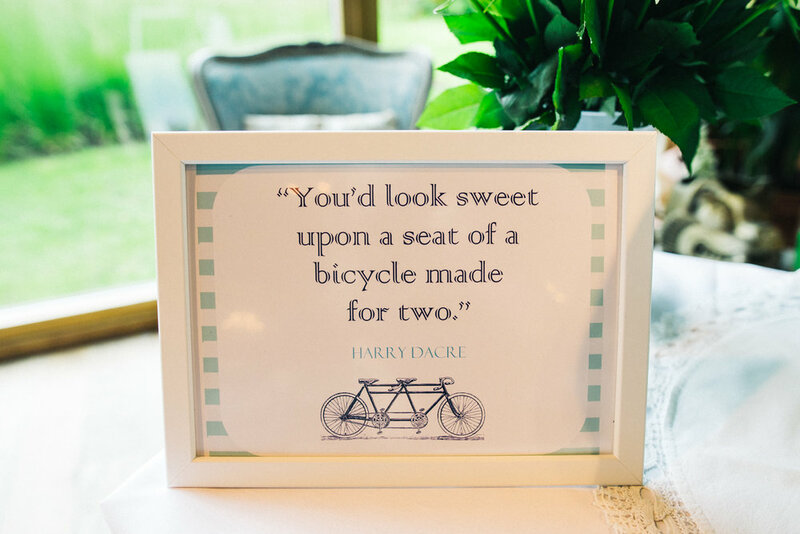 I *loved* all the little touches from this day.. Their Newton Hall wedding inspiration combined two of the couple’s favourite loves: cycling and travelling. 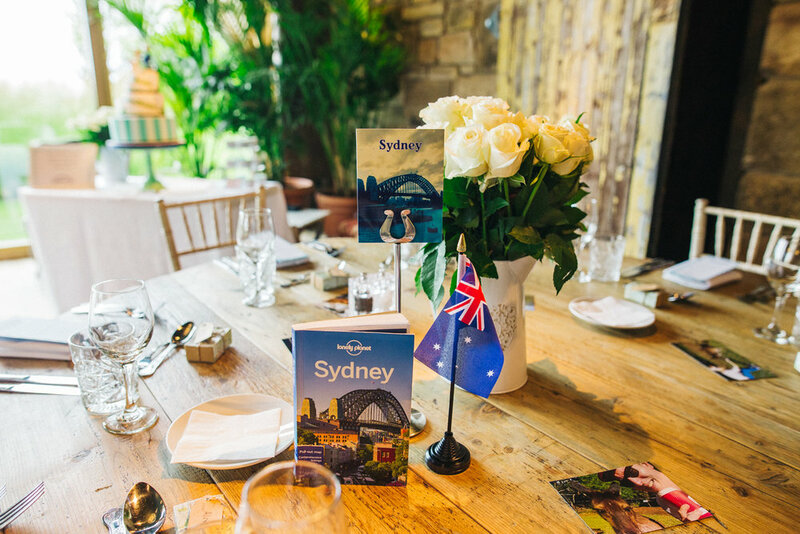 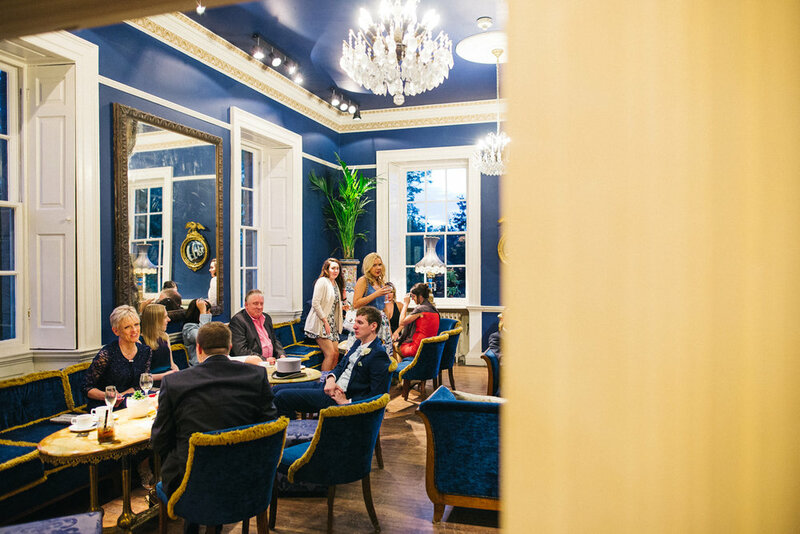 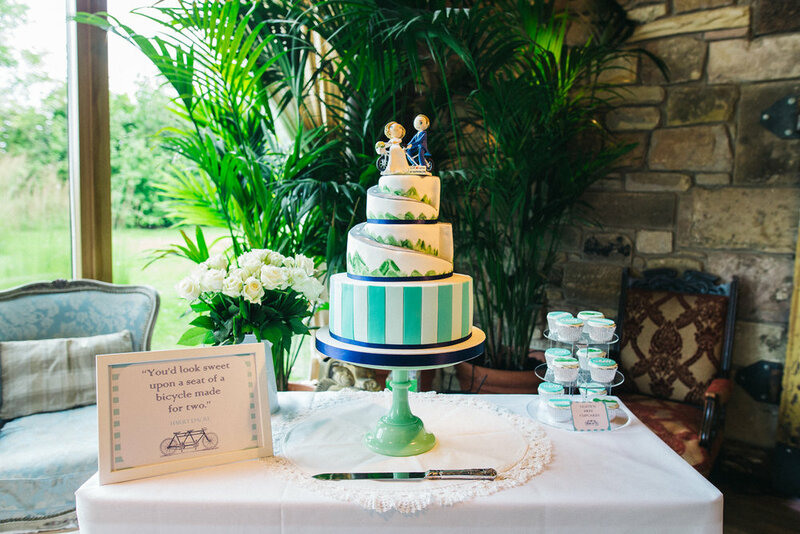 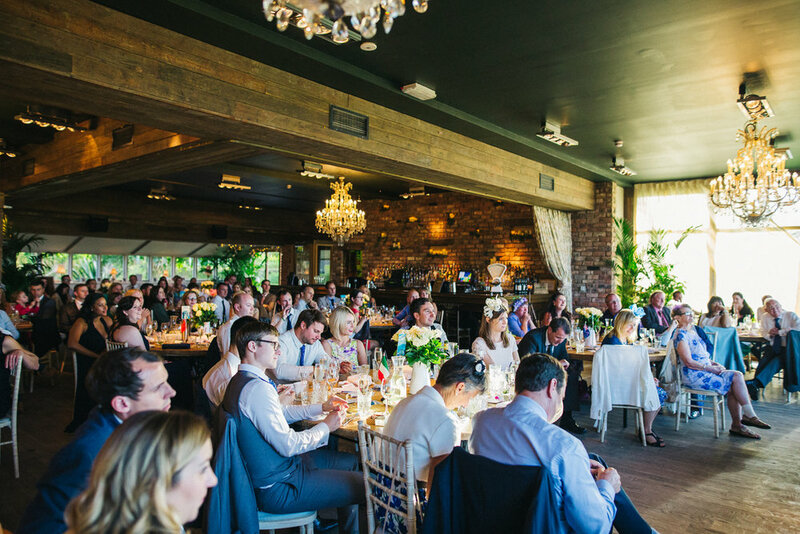 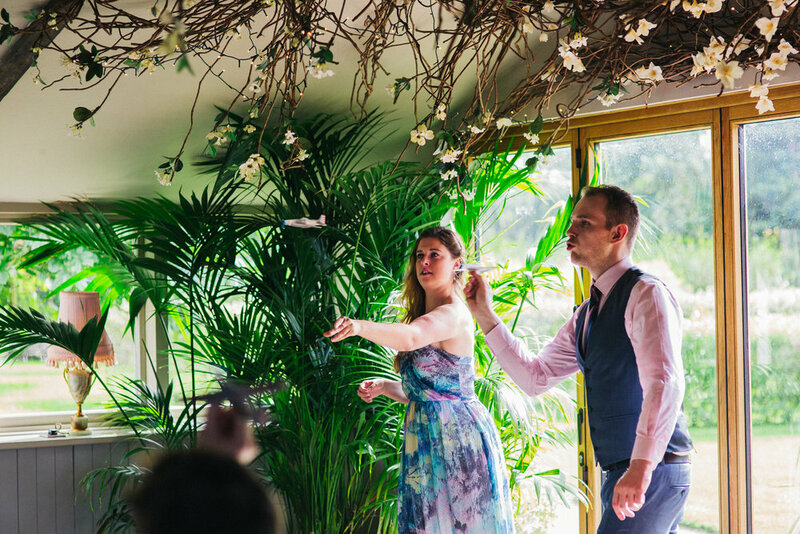 Inspired by their old guidebooks, each table was named and decorated after places they’d visited and their Newton Hall wedding favours were little paper airplanes. 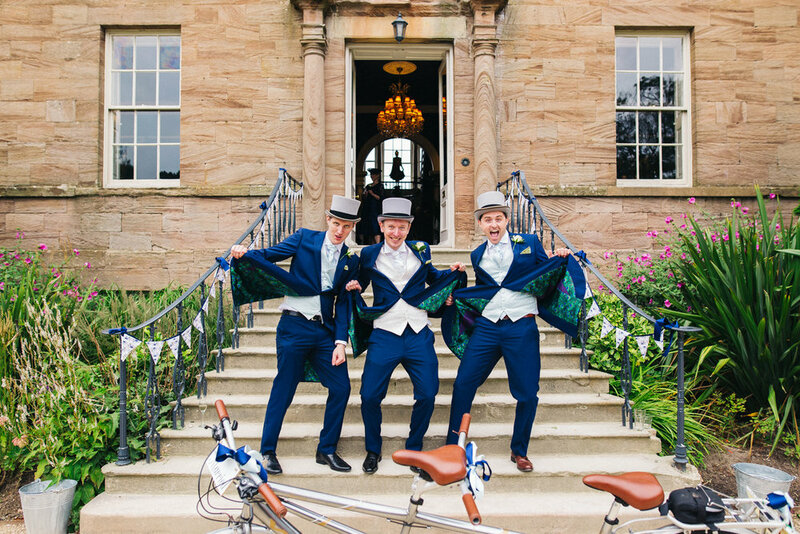 They even hired a tandem for pictures and later (only very *slightly* tipsy) guests were cycling around the grounds on it. 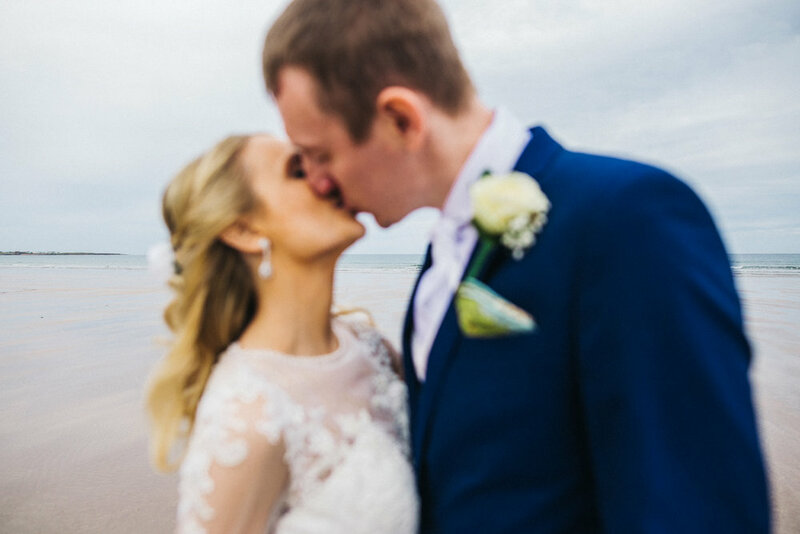 Sophie looked absolutely amazing in a beautiful and one-off lace gown by Ronald Joyce, with her hair accessorised with a Gypsy Rose Vintage clip made from an ivory rose and purple flowers. 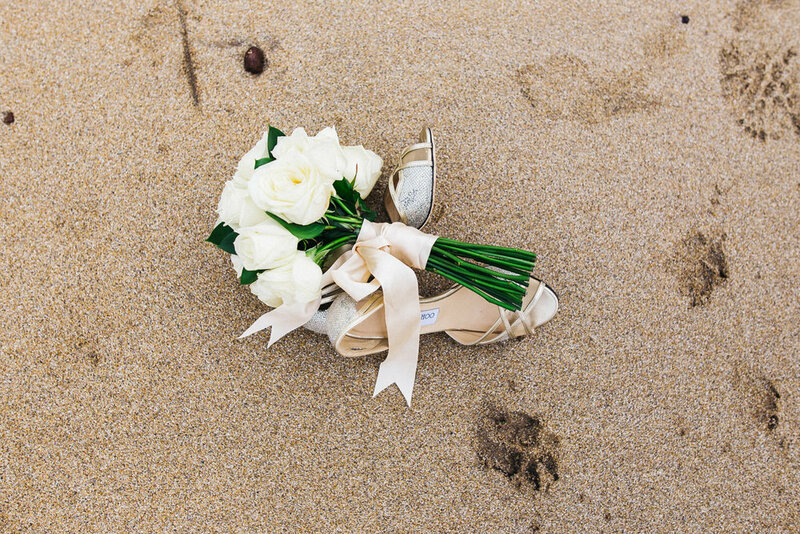 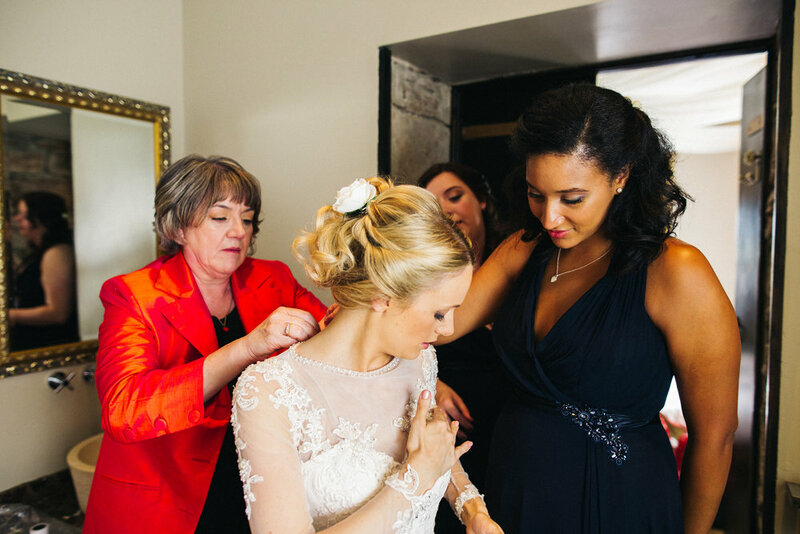 Her something old was her Grandmother’s engagement ring, whilst her mum’s silver bracelet played the part of something borrowed and her painted toenails stepped into the role of something blue. 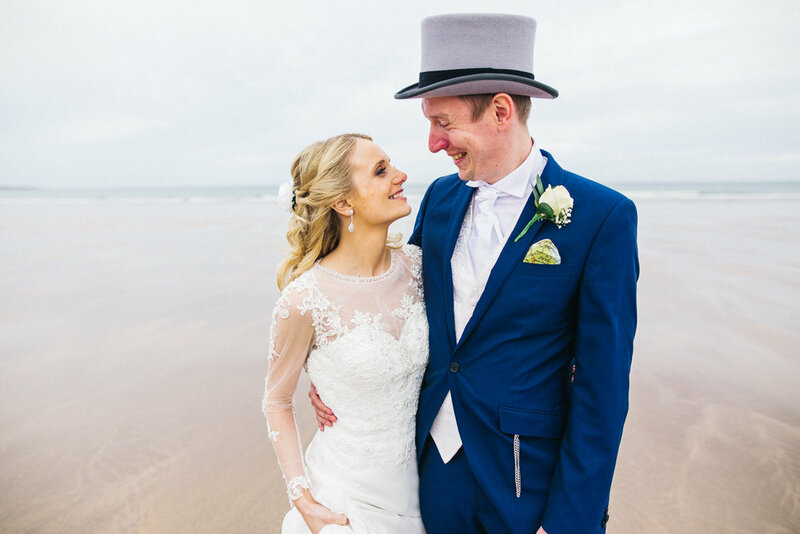 Will looked pretty dapper himself in a tailored suit by Ted Baker from Moss Bros. teamed with an ivory tie and waistcoat and a grey top hat. 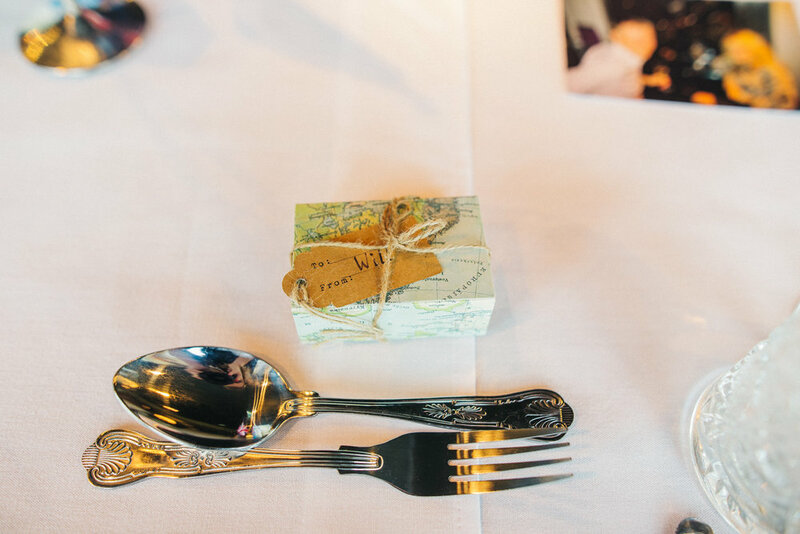 Keeping in with the fab theme, Will gifted his groomsmen with specially made silk pocket squares featuring maps of Northumberland. 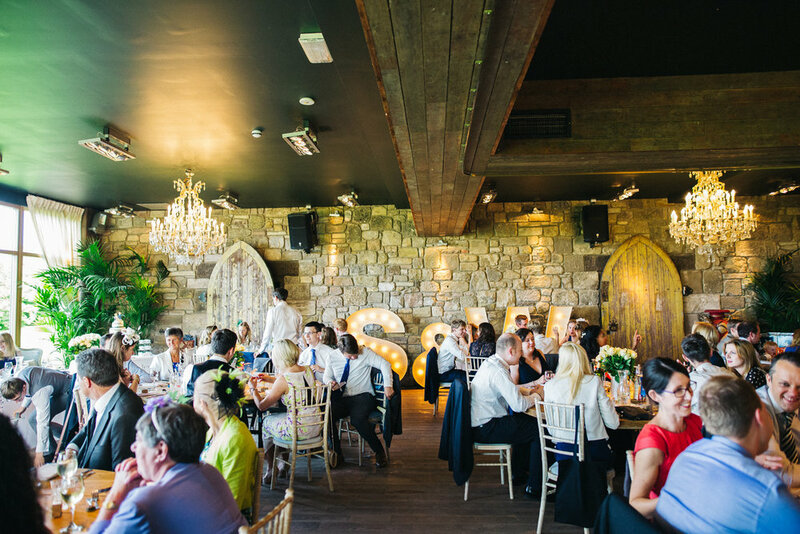 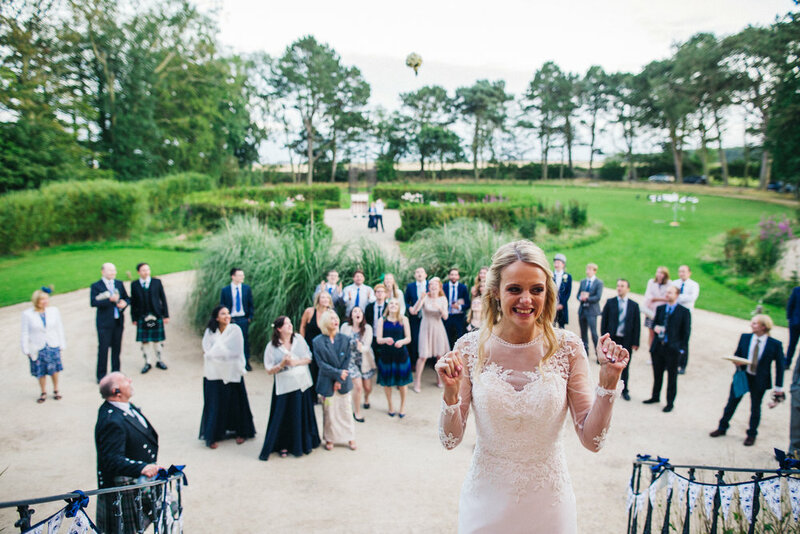 “We wanted our wedding to be a real celebration, as well as a fun party for all our friends and family.” Mission accomplished with this Newton Hall wedding, I'd say!